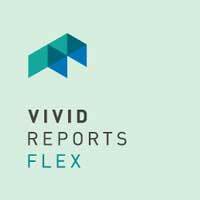 Vivid Reports Flex™ is a new way to access and share information with complete flexibility and control. Seamlessly combine the rich formatting and ease-of-use of Microsoft Excel® with the superior processing power and advanced functionality provided by Vivid Reports Flex. Dynamically process any SQL expression directly from Microsoft Excel enabling unprecedented data access and new capabilities for reporting across all systems and operations. Leverage Excel to define dynamic SQL expressions that return exactly what you need to Excel. Update any part of the expression on the fly simply by changing values in Excel. Enable your decision makers to easily control what they want to see and securely deliver that information into professional Excel reports and dashboards. Use Vivid Reports Flex to schedule and automate report delivery, eliminate manual data preparation, simplify complex reconciliations and export routines, and seamlessly combine information from multiple data sources. With Vivid Reports Flex, accessing your data, creating meaningful operational reports, and sharing your information has never been so easy.